For sale in this listing is Action Comics 8 CGC 2.0 Good Signature Series- Jerry Robinson with Light Tan to Off White Pages published by DC comics in 1939. From the person collection of Jerry Robinson. 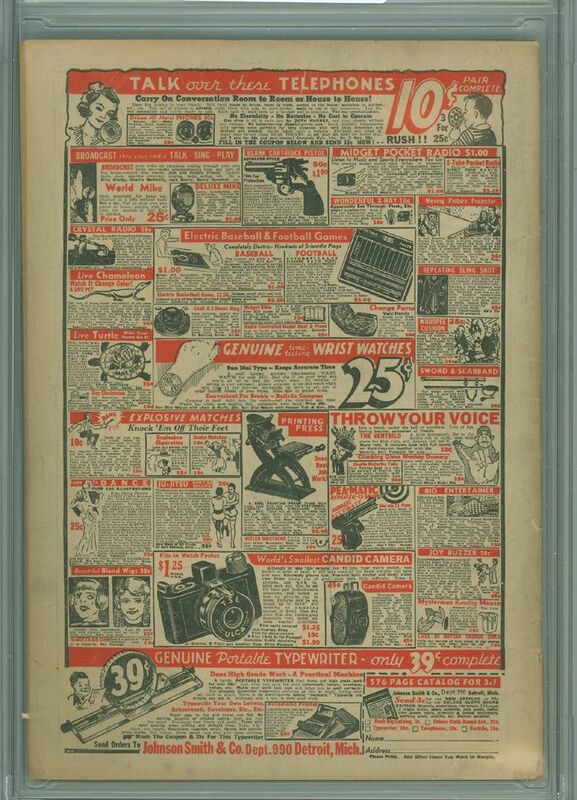 There are only 14 unrestored copies graded of this issue to date, and only 7 graded higher than this one. 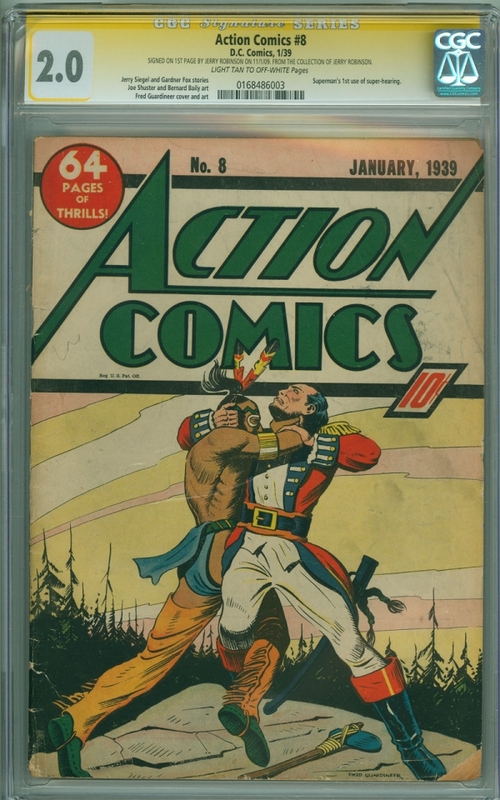 Please make sure to view our other listings this week for many other gold, silver, & bronze age comics. Good luck and have fun bidding. If there are any questions please contact me through eBay or by phone at 585-730-8148. For those of you who have never bought from me before, I've been an eBay seller for the past 9 years primarily specializing in high grade Gold and Silver age comics. I try to grade strictly and have a hassle-free return policy (including paying for return shipping). I will always do anything I can to make sure that everyone who buys from me is 100% satisfied with every transaction!